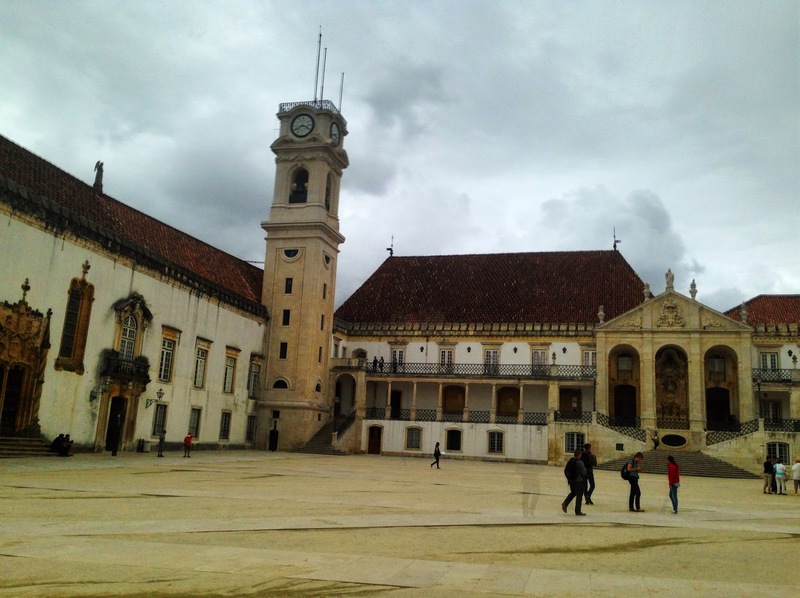 I’m glad we decided to take today off from walking, even though we spent much of the day walking around town and up to the famous University of Coimbra. Not surprisingly, we woke up at 5:15am and it was a struggle to get back to sleep. Whatever I did worked though because the next thing I knew, it was 9am. 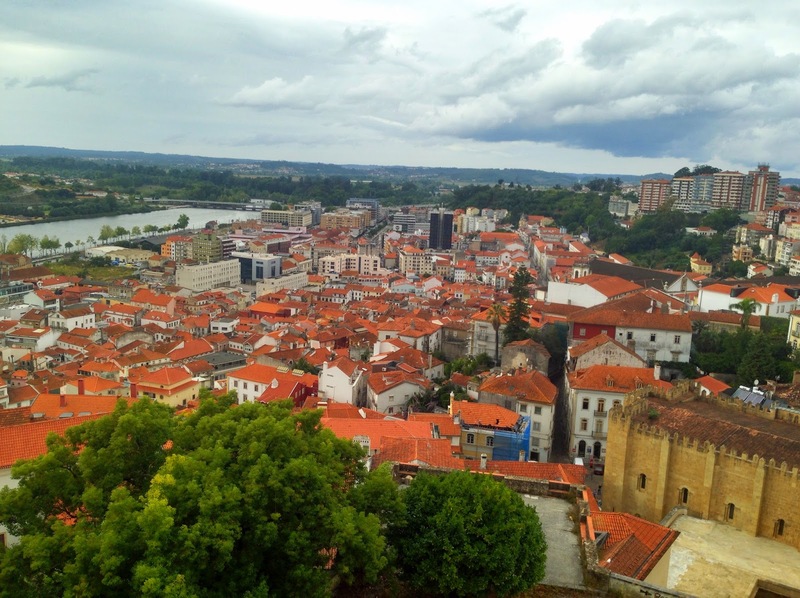 After a late breakfast and blogging / Facebooking, we headed out for a small lunch, a visit to the 12th century St James church and a hike up the hill. 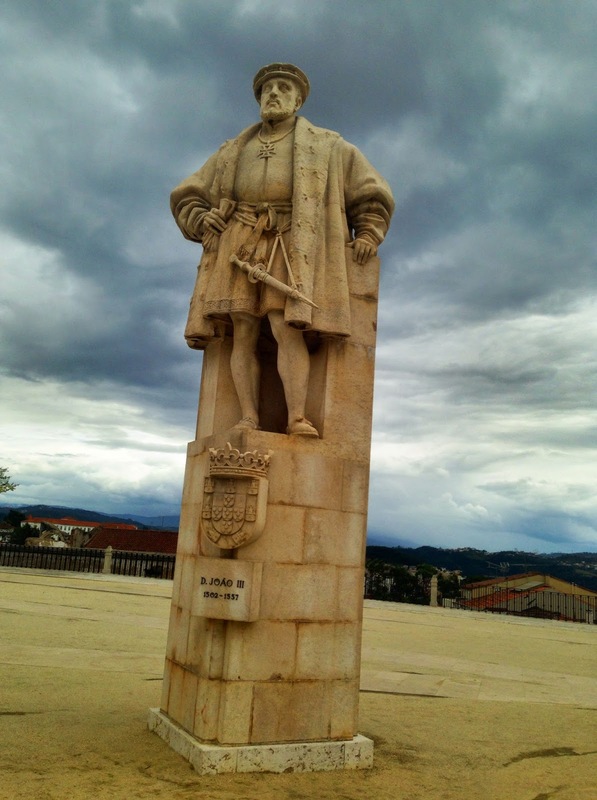 At the top of old Coimbra is the university, founded in 1290 and located at the present site since 1537. The dates stagger my American mind since the pilgrims didn’t settle in America until 1620 and nothing has lasted from that period except the bubblegum under the church pews. 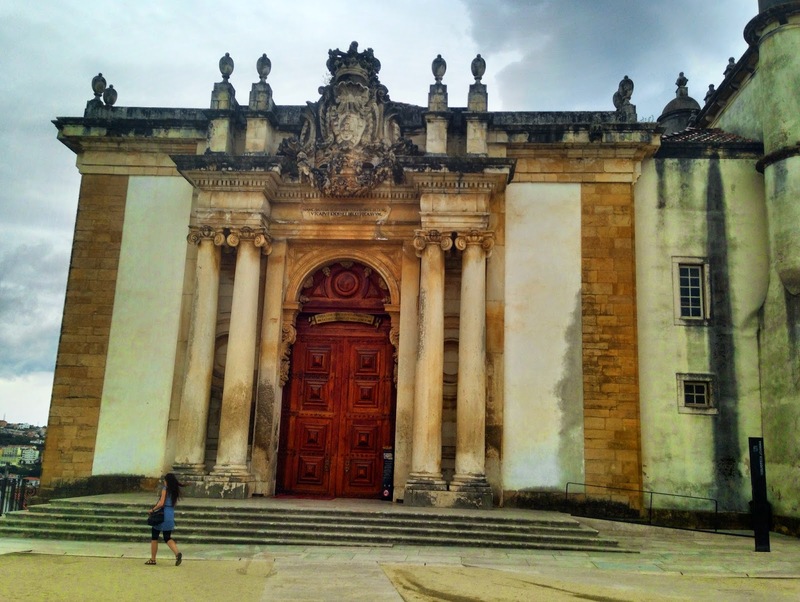 The university is the oldest in Portugal and 10th oldest in the world. If you are following us, take time to visit the university. The grounds, particularly the library, are stunning beyond words. Sadly, no photos are allowed to be taken but google it. Someone must have snuck some good ones. St. Michael’s chapel on the school grounds is also incredible. The ornate organ, with its 2,000 pipes is also worth the time to stay here. While walking to dinner, we ran into the Austrians, Peter and Hilda so we shared a nice meal with them. They arrived today from a town closer than Rabaçal but had very bad storms. Another group of four Americans also arrived today and are staying on the same floor as us (the pilgrim “top” level). We had little chance to talk with them but I believe they are also walking out tomorrow. Random memory for the day: yesterday, we saw several red arrows on the trail. Did someone run out of yellow paint and think red was a good substitute? Pray for overcast weather without rain. If we get it, it should be considered a miracle.